The PEA was commissioned independently by Reservoir and has not been reviewed or approved by Freeport-McMoRan Exploration Corporation, the current Operator of the Timok project. Reservoir Minerals Inc. is pleased to announce the results of the Preliminary Economic Assessment undertaken by independent consultants on its 45% owned Timok JV Project and Cukaru Peki deposit in Serbia. The PEA base case considers the potential economic merit of a Phase 1 starter mine, with access via a twin decline to the higher grade direct shipping ore material which requires crushing and grinding only before shipping. This would be followed by subsequent mining of the main Upper Zone mineralisation down to the 800m level. The results of the PEA demonstrate the robust nature of the project at current and long term prices, with the base case project having a post-tax net present value at an 8% discount rate of US$1.55 billion and post-tax internal rate of return of 106%, on a 100% project basis. The PEA was commissioned independently by Reservoir and has not been reviewed or approved by Freeport-McMoRan Exploration Corporation, the current Operator of the Timok project. The PEA is preliminary in nature and it includes inferred mineral resources that are considered too speculative geologically to have the economic considerations applied to them that would enable them to be categorized as mineral reserves. Mineral resources that are not mineral reserves do not have demonstrated economic viability. There is no certainty that the PEA will be realized. The base case project comprises of the initial DSO mining phase starting in 2019 and the Phase 2 Main Mine starting in 2022 ramping up eventually to a 2 Mtpa maximum production rate, processing mineralisation with a diluted copper grade in excess of 2.5% Cu, with production ceasing in 2030. An extended mining phase has also been considered comprising of the DSO mining phase and the Phase 2 Main Mine with a 2 Mtpa production rate, processing additional 13.8 Mt of mineralisation, primarily from the deeper portions of the deposit, with a diluted copper grade in excess of 1.0% Cu. Production in this case is extended to 2037. The project, based on the 1.0% COG Case has a post-tax NPV8 of US$1.63 billion and post-tax IRR of 106%, on a 100% project basis. – High quality resource: The deposit comprises a copper-gold epithermal mineralised body, preserved under ~400m of sedimentary and volcanic cover rocks. There is a zone of very high grade massive sulphide within a shell of lower grade, semi massive sulphide mineralisation. The combined HGMS and SMS comprises and indicated resource of 1.7Mt @ 13.5% Cu and 10.4g/t Au and inferred resource of 35.0Mt @ 2.9% Cu and 1.7g/t, would support an initial mine life of 12 years at an initial projected extraction rate of 0.6 Mtpa during the DSO operation, ramping up to 2 Mtpa at the Phase 2 Main Mine. – Demonstrable economic upside: The base case main mine production may be extended by a further 7 years by mining additional 13.8 Mt of material providing economic upside to the project. – Strategic development plan: This is designed to minimize development risk, generate higher up-front margins, and reduce initial capital funding requirements, by development of the high grade DSO starter mine, followed by the Phase 2 Main Mine. 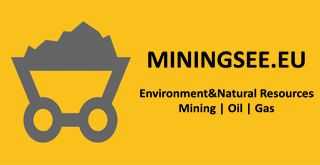 – Robust project economics and access to early cash flows: Mining and selling the DSO from the starter mine, following a 3 year development period, results in significant operating cash flow which is used to fund the Phase 2 Main Mine. The initial establishment capex requirement of US$213m results in a rapid payback of 0.6 years and significant post-tax IRR of 106%. – Existing infrastructure & reduced risk: Close proximity to the existing Bor mine smelter provides existing infrastructure including power, road, rail, water. Though not a requirement of the Mining Law in Serbia, there is also potential to treat, as yet undefined quantities of DSO material and concentrate, at the flash smelter at RTB Bor which currently has significant spare capacity. – Cash operating costs: Low cash operating costs driven by high quality of resource base. Total payable Cu of 1.54 billion lbs and total payable Au of 744koz over life of mine. Base case C1 Costs(1) of US$0.55/lb. Fully allocated costs of US$0.97/lb. – Supportive government and jurisdiction: Serbia is pro-foreign investment and the local mining community is strongly supported at all levels in government. Mining projects in Serbia benefit from competitive fiscal and legal regulations including a net smelter return royalty of 5% and a corporate tax of 15%. – Block Caving Opportunity: The underlying large scale Lower Zone (LZ) porphyry mineralisation, which has a current footprint of approximately 1,400m by 600m. The vertical extent of the mineralisation is unknown, as holes terminate in mineralisation. Mineralised intervals up to 900m have been reported. This presents a long term block caving opportunity. – Project post-tax NPV8 of US$1,552 m and IRR of 106%. – DSO only processing rate of 0.6 Mtpa for 3.5 years resulting in total production of 248 kt Cu and 649 koz Au. Phase 2 Main Mine processing rate of 2 Mtpa resulting in an additional total production of 507 kt Cu and 184 koz Au (mine gate figures). – Pre-production capital of US$213m for Phase 1 starter DSO mine. – The following capital would be funded from operation cash flow: Phase 2, 1 Mtpa flotation start up capital of US$78m, further sustaining capital of US$149m to increase and maintain production of 2Mtpa (including contingencies at 25%). – Total average LoM Total Allocated Costs of US$0.97/lb Cu. – DSO material of 1.91 Mt, mined at an average grade of 13.0% Cu and 10.6g/t Au and Phase 2 Main Mine material mined at average grade of 4.6% Cu and 2.9 g/t Au. – Base case commodity assumptions of US$1,200/oz Au and US$3.00/lb Cu. – Post-tax NPV of US$986m and post-tax IRR of 84% at current metal prices (US$1,250/oz Au and US$2.20/lb Cu). The Cukaru Peki deposit is subdivided into an Upper Zone (“UZ”) of high-sulphidation epithermal mineralization and the underlying Lower Zone (“LZ”) of porphyry type mineralization which has not yet been modelled due to the lack of sufficient drill data and geometrical understanding, and is not included in current the resource estimates. Despite incomplete drill coverage in the Lower Zone, there are indications of a large deposit that may be amenable to a bulk mining method. The Lower Zone is currently an exploration target that remains open to the north and at depth below the UZ, with several drillhole intersections that outline the potential magnitude of the mineralised system. The LZ is not included in the PEA study. On a 100% attributable basis, the Cukaru Peki UZ Mineral Resource comprises an Indicated Mineral Resource of some 1.7 Mt above a cut-off grade of 0.75% copper, with average grades of 13.5% copper, 10.4 g/t gold and 0.23% arsenic and an Inferred Mineral Resource of some 35.0 Mt above a cut-off grade of 0.75% copper, with average grades of 2.9% copper, 1.7 g/t gold and 0.17% arsenic. The Table 1 below gives the current Mineral Resource Estimate which has been prepared by SRK Consulting (UK) Ltd (“SRK”) in accordance with the CIM Code as at March 2016. Although there is a decrease in total resource tonnage (compared to the previous resource estimate), due to the current resource model being geologically better constrained, the continuity of the mineralisation has been demonstrated with increased copper and gold grades with the additional drilling. The majority of the estimate is an Inferred Mineral Resource, which SRK expects can be upgraded to an Indicated Mineral Resource with further drilling and sampling. The deposit is planned to be mined by conventional underground mining methods in two phases. This PEA considers an initial Phase 1 “DSO” Mine mining phase which will access very high grade mineralisation (13% Cu and 10.6 g/t Au) and can be shipped directly to smelters after crushing and grinding only. The DSO mineralisation is at the top of the deposit, some 400 m below surface and will be mined at a rate of up to 0.6 Mtpa for 3.5 years; initial mining access is via a 2.5 km long twin decline. Both Phase 1 and Phase 2 Mines are planned to use Sub Level Open Stoping (SLOS) mining method with cemented back fill. The PEA assumptions for concentrate production are based on preliminary metallurgical testwork and mineralogical work completed on Cukaru Peki Upper Zone composite samples solely funded by Reservoir. The copper mineralogy consists primarily of covellite with lesser enargite, and minor colusite and chalcopyrite. Enargite and colusite contain arsenic and therefore the arsenic grade will be a key consideration in concentrate blending and resulting smelter choice, terms and charges. – Subsequent production of two copper concentrates: Up to 100 ktpa of a ‘Low Arsenic’ high Cu concentrate with a copper grade of 52- 58%, a gold grade of 3.9 – 6.3 g/t and an arsenic grade of 0.48% after blending; and 18-52 ktpa of a ‘High Arsenic’ relatively high Cu concentrate with a copper grade of 37%, a gold grade of 6.2 – 12.8 g/t and an arsenic grade of 2.5 – 5.5% after blending. – Both concentrates are within marketable ranges, with no other significant deleterious elements identified. The technical economic model developed by Reservoir and verified by SRK, is based on phased development of a starter DSO mine and a Phase 2 main Upper Zone mine, producing a DSO product through on-site comminution in years one to four and subsequently two marketable copper-gold sulphide concentrates (low arsenic and high arsenic respectively) through a conventional crushing, grinding and flotation circuit. Two scenarios have been analysed based on 1.0% and 2.5% copper cut-off grades (COGs) being applied to the Upper Zone Mineral Resource as presented in Table 2 below. For the purposes of this PEA, the base case project is assumed to be the 2.5% COG case. A key consideration in the PEA is the establishment of a relatively low cost and high margin DSO starter mine which can be built for an estimated capital investment of US$ 213m including the initial decline access. DSO production is expected to generate sufficient profit to fund the additional capital (for the 2.5 % COG case) of US$182 million required to ramp up to the eventual 2 Mtpa Phase 2 Main Mine production rate in two stages over six years. Production is also expected to fund additional sustaining capital costs amounting to US$45 million. A closure cost of US$23 M has been provisionally estimated. On-site operating costs used in the PEA for the initial DSO Mine are US$63/t reflecting the low production rate; these gradually reduce to US$40/t for the eventual 2 Mtpa Phase 2 Main Mine. All operating costs compare well with industry benchmarks.